I’ve been really frustrated trying to get up to speed while typing on the iPad Pro. One huge problem I’ve been having is due to the keyboard layout which came with a factory default setting for the onscreen keyboard using a qwertz layout. Sadly, most Americans don’t actually use the standard qwertz layout…we use the qwerty layout. You’d be surprised to discover that one simple swapping of 2 keys, makes a huge difference when it comes to typing proficiency. I spent quite a bit of time researching the problem and just wasn’t finding any useful help until I read about someone who was using what they called a Slovene keyboard. Their keyboard description was similar to mine with the ‘y’ and the ‘z’ key reversed. Now I knew more about what kind of keyboard I was using…but little else. Specifically I still didn’t know how I could get the keyboard to revert to a different layout. Then I remembered that a great new feature of ios 9 was the addition of a search box to Settings. I typed ‘!eyboqrd’ into the search box and found exactly where I needed to go. Once you’ve tapped on English you’ll arrive at several layout alternatives. In my case qwertz was checked off. I switched it to qwerty and everything is much better now! I wrote this post because I had this problem with my iPad Pro’s onscreen keyboard. Upon fixing the problem using the method above I was faced with a new problem…my keyboard was now stuck in a floating position in the middle of the screen. This too was really annoying because the problem keyboard was now blocking the area I was attempting to type in at that moment. So I Googled how to solve that and lo and behold, the solution was the same one I wrote about a few weeks back for unsplitting the keyboard. In addition to my solution I found a great little YouTube video which explains more about the problem and how to fix it. While on my ipad my letters y and z switched places. How do I switch them back. 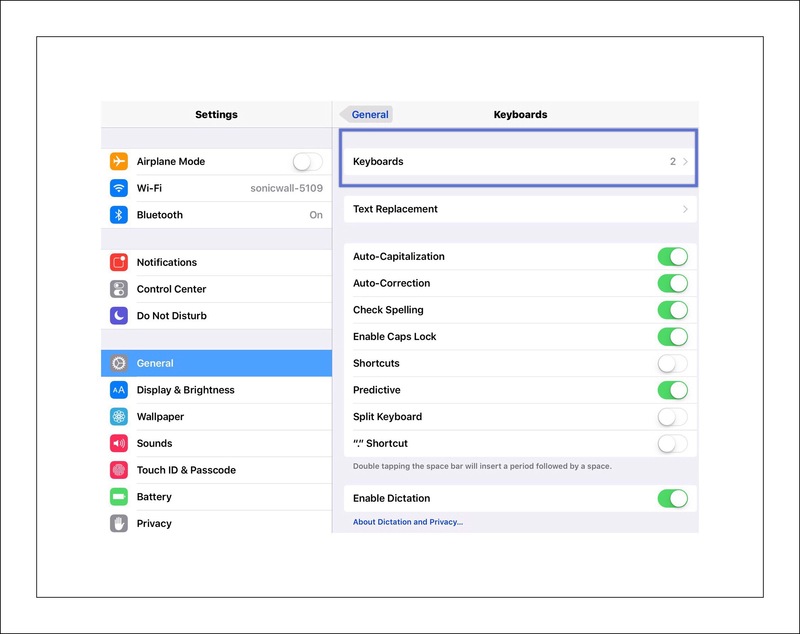 This entry was posted in ios 9, ios 9 Quick Tips, iPad Pro, Tech Tips and tagged iPad keyboard floats in middle, IPad Pro keyboard problem, iPad Pro loses qwerty. Bookmark the permalink. This layout is very helpful in fixing the iPad screen repair Auckland keypad issues and the instructions are very simple and the keyboard problem can be easily be fixed by adapting the guidelines.